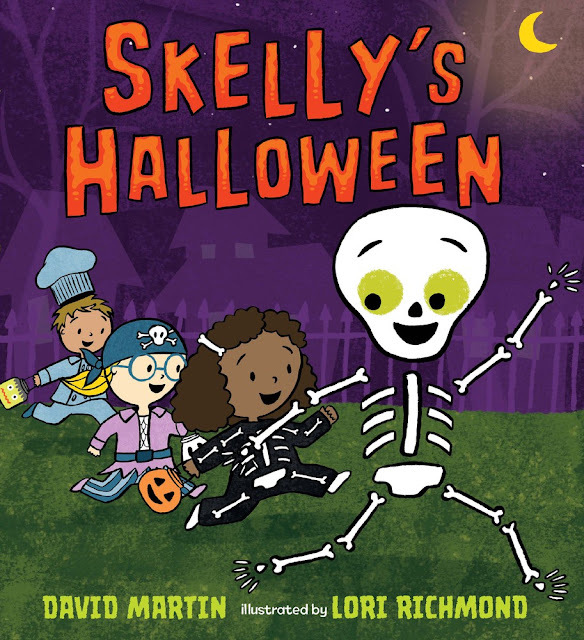 In this fun book Skelly is very excited to go trick-or-treating. However he is only awake for one day of the year and now he has to find a good costume and get out there. But once he is outside the wind blows and catches him and his costume. He flies and then the wind stops. Luckily he doesn't break a bone, but his bones are all over the place. Several animals come by and try to help, but they don't get it quite right. Will Skelly ever get to trick-or-treat? This book is fun and not scary. I think kids would really love the story and guessing at what the animals shape him as. It is cute. 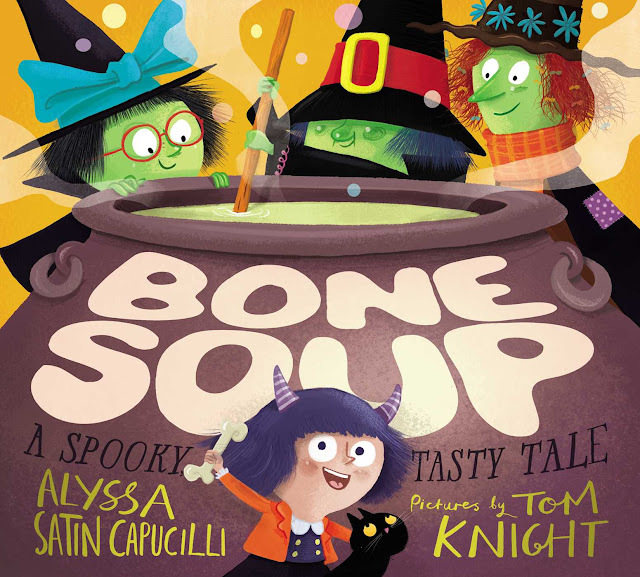 Our next book is Bone Soup by Alyssa Satin Capucilli and illustrated by Tom Knight. This story is a bit of a take of Stone Soup. Three witches are hungry but they only find a dried out bone in their cupboard. One of them has a plan to make bone soup, but they need more ingredients. What are they to do? They go and ask neighbors and slowly more and more "people" contribute to the soup. What will it take to make sure it is a delicious Halloween treat? I love that the book provides a recipe for bone soup. It uses substitutes for the spooky ingredients that are used in the story. For example the giant's eyeball is an onion. 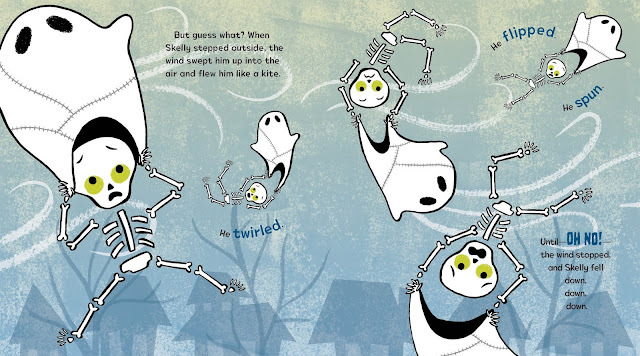 This is a fun book that kids are sure to love as Halloween approaches. It will also be fun to make bone soup with them. 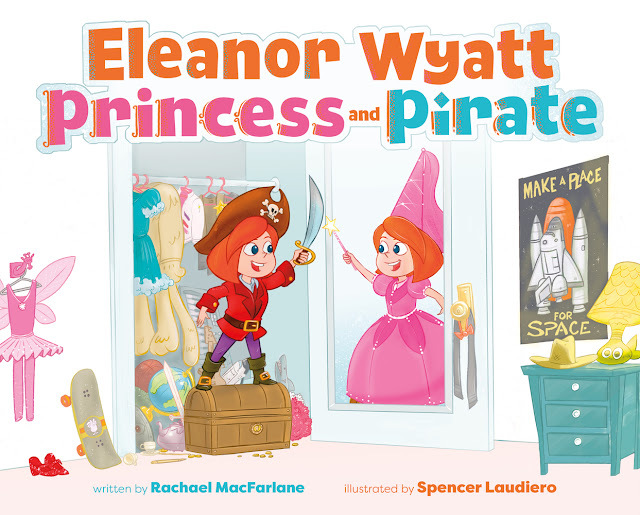 Our next book is Eleanor Wyatt Princess and Pirate by Rachael MacFarlane and illustrated by Spencer Laudiero. In this fun book Eleanor Wyatt explains how she can be both a pirate at one point and then a princess. The book ends with her talking about how her friends like to dress up as different things. It is a wonderful rhyming story about being whomever you want to be and having fun with dress up and pretend play. I love how the book shares a bit about gender equality and letting kids be who they want to be. Also how young children do not have to be or love just one thing. It is a fun book with strong messages. 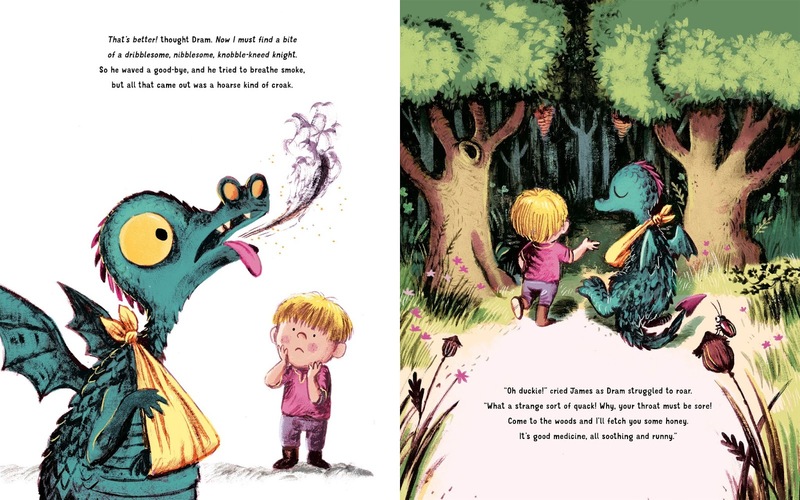 Our final book for today is The Dragon and the Nibblesome Knight by Eilli Woollard and illustrated by Benji Davies. In this rhyming story the dragons eat boys for breakfast and girls for lunch, but their favorite treats are knights. One young dragon is told to go out and find himself a nibblesome knight, but when he leaves a storm comes and he gets injured. He falls to a lake where a young boy is. The boy has never seen a dragon and thinks the dragon is a weird looking duck. He goes to help the duck. He makes him a sling for his broken arm. He gets him honey for a sore throat and then feeds him. 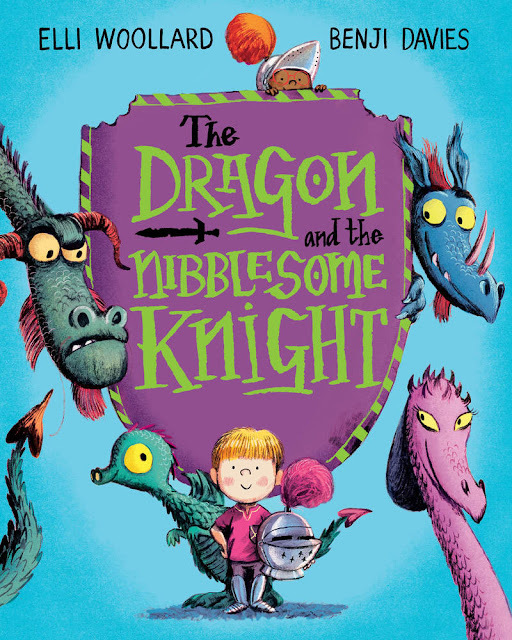 The next day the dragon finds the boy dressed as a knight at a competition with the dragons. They look at each other and realize they should fight but both realize they cannot since they are friends. The story is sweet and shows how kindness and friendship matters. It reminds me of another wonderful dragon and knight story called The Sunflower Sword. We shared it years ago. I love how their friendship changes it so the dragons no longer eat the people and they all become friends. It is nice to look beyond the differences and find friendship as they get to know each other. What a wonderful message that we all need to teach!! 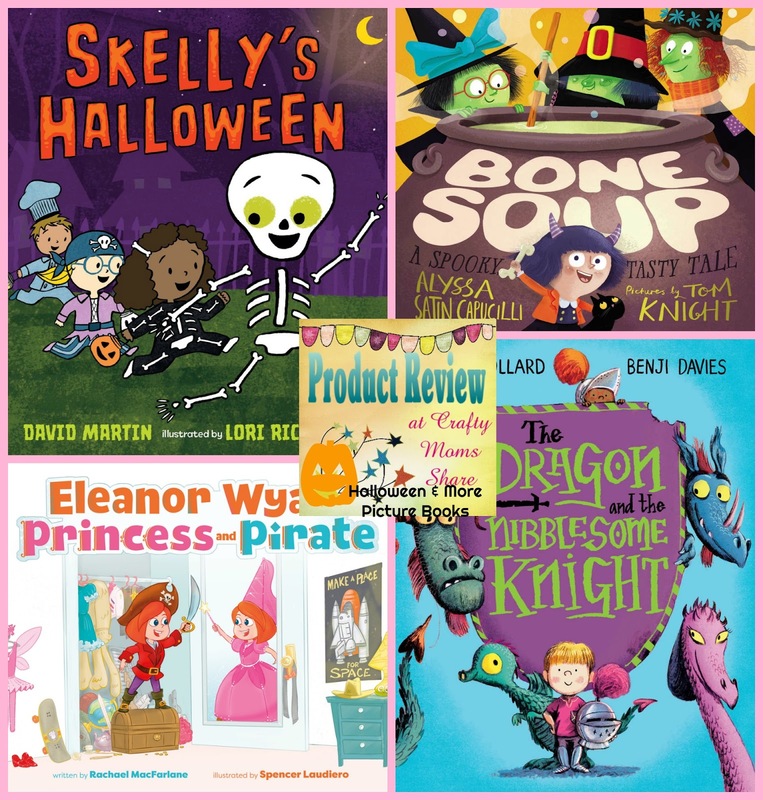 I hope you will check out these fun books! !